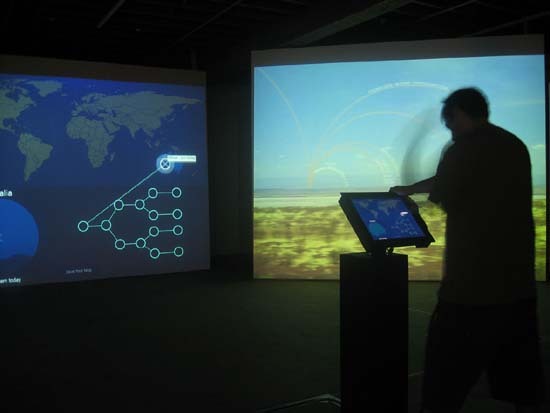 The Seeker installation uses three large projections to explore migration, territorial boundaries, conflict commodities and human displacement. Seeker’s interactive component enables participants to map their own personal family migration history. Making a contribution allows access to a visualisation of all accumulated maps. The most recent vectors are drawn first, followed gradually by the vectors of previous participants. An alternative animated visualisation can be accessed by the viewer where elegant curves represent the distance each generation has travelled. Another screen shows panning satellite imagery of cities overlaid with moving text of harvested news feeds. The text describes incidents where people have died attempting to seek refuge in another country. 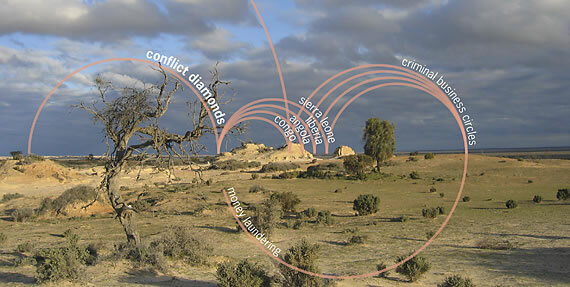 The third screen consists of animated curves representing population migration data, and the effect conflict resources such as tantalum, diamonds and oil have had on the displacement of people. 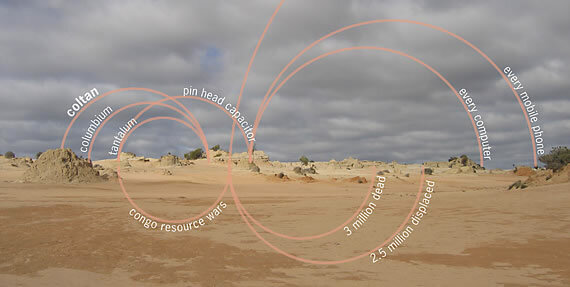 The animations are overlaid onto vast empty landscape images from Africa, Australia and India. Over time the three screens begin a silent conversation with one another as the viewer makes connections between issues of personal migration, conflict resources and the way human displacement is represented in the global media. 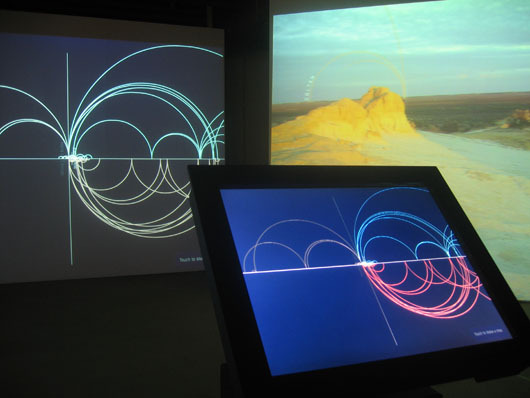 Seeker was first exhibited as part of the “ContemporaryCommonwealth06″ Exhibition jointly hosted by the Australian Centre for the Moving Image and the National Gallery of Victoria, in Melbourne from February to May 2006.